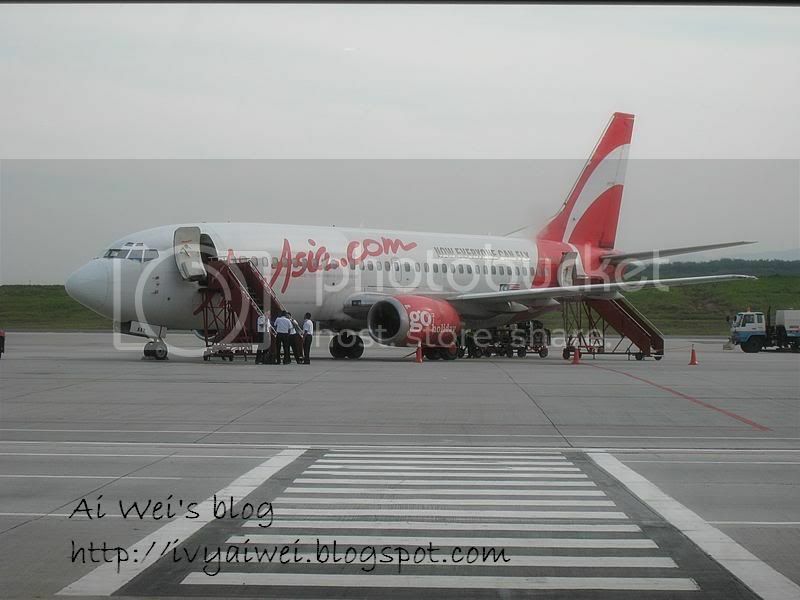 We were at the Air Asia Terminal early in the morning, waited for our flight. It has been quite some times since my last trip. 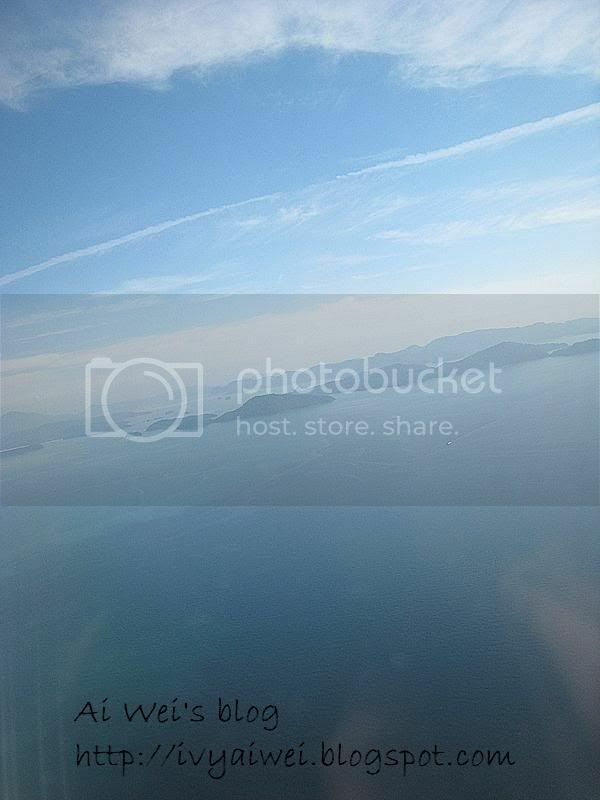 The plane flew passed Penang. Can you see the island and little cubes of building?! We saw our destination! here we come — Langkawi. It took us some times to settle the transport and checked-in to hotel we booked. Food was the next thing in our mind. We had the driver, Jimmy as our leader, drove aimlessly with the aids of Langkawi map looked out for food. The streets were quiet, most of the stalls or warung were not opened for business. I guess the more activities will be on at night. Finally, we saw a restaurant was opened. 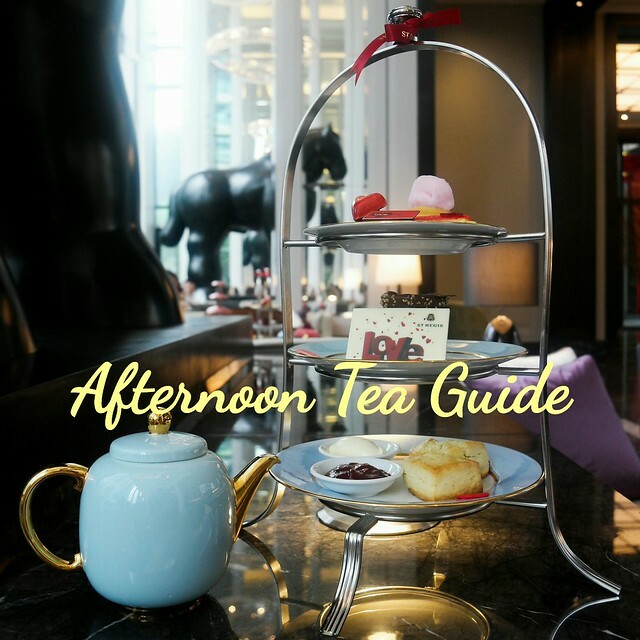 We stopped by and headed in without hesitate. It was a pleasant environment in this restaurant. 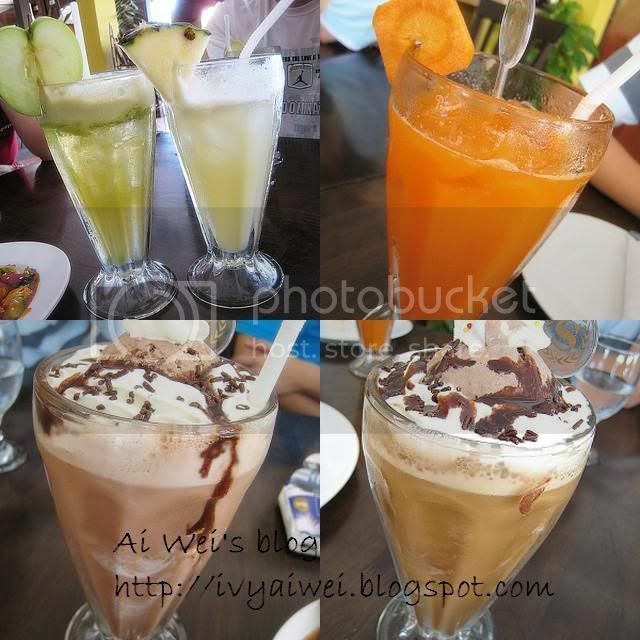 Few glasses of fruit juice, iced blended chocolate and ice blended coffee. Both iced blended were topped with whipped cream, and a scoop of chocolate ice cream and sprinkles with some rainbow sugar. Langkawi’s weather was very warm at that period. We felt refreshing after having some fruit juices or iced stuff. However, these few glasses were kinda pricey and tasted ordinary. Chicken Fried Rice ordered by one of them. The presentation was quite nice. 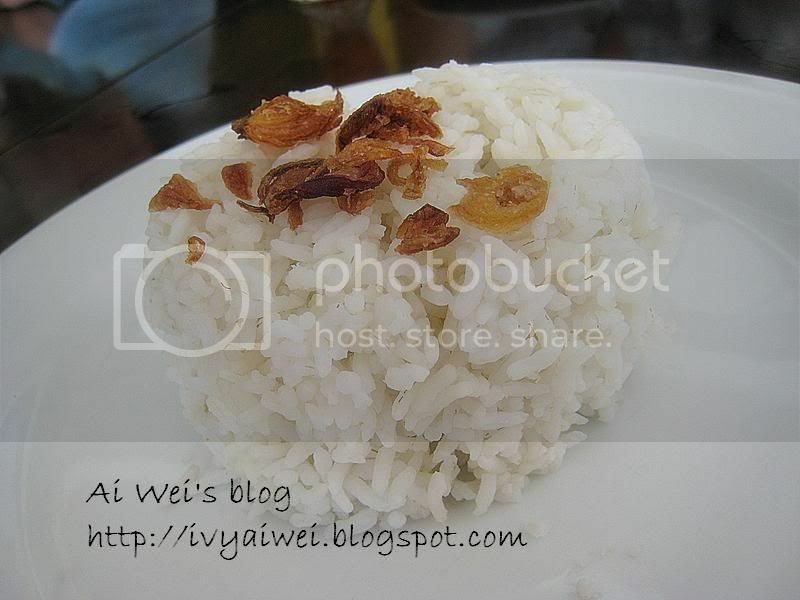 White Rice with fried shallots. 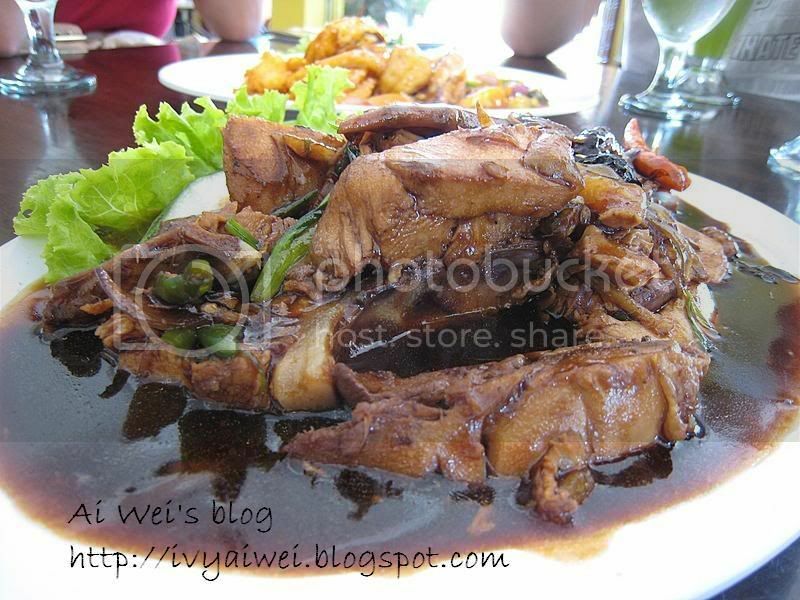 Ayam Masak Kicap, the chicken cooked with soya sauce was quite a disappointing one. It was over salted. We were all starved, so not much complains from us. We just had it eaten with lots of rice. 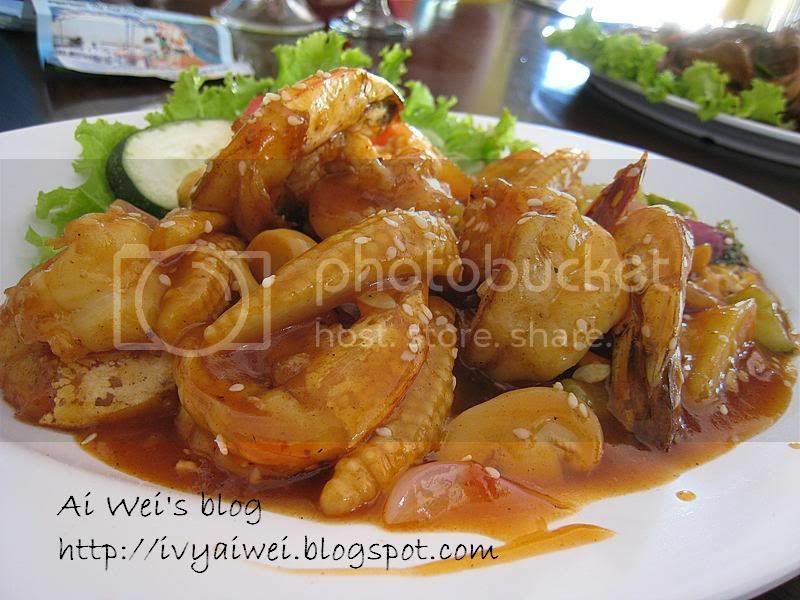 Udang Masak Manis was the deep fried prawn cooked in sweet and sour was okay for us. But the portion was quite small. 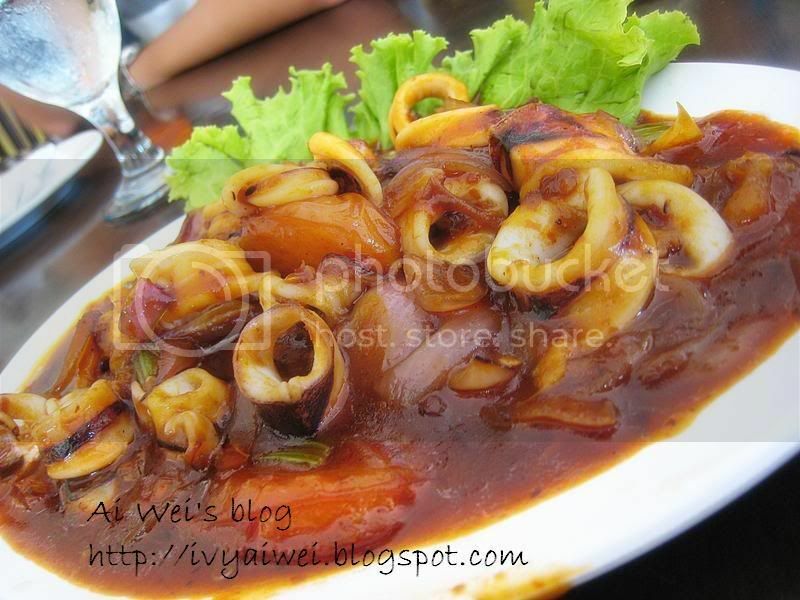 Sotong Goreng Sambal was the squid deep fried and cooked with dried chilies. This was okay too but then again, serving was small. 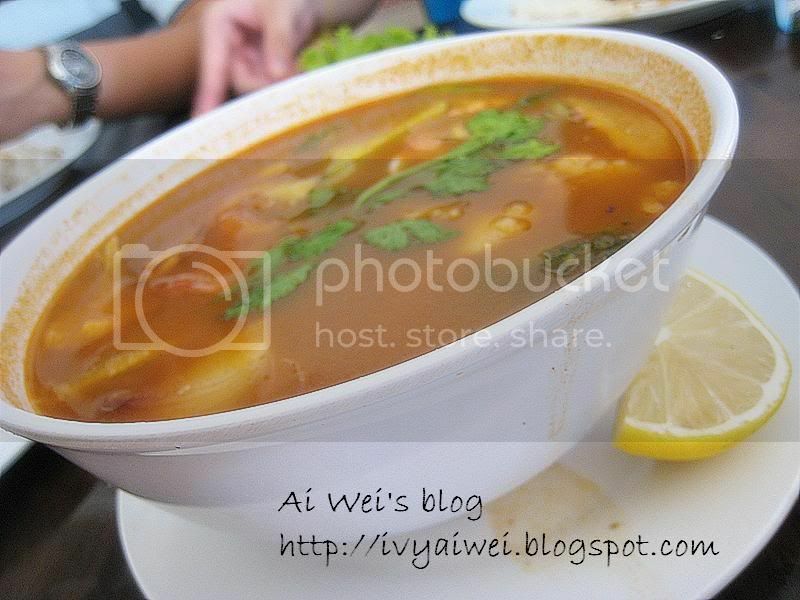 Seafood Tomyam Soup (medium) priced at Rm 10 was on the salty side as well, a little sourish and not spicy enough and it was not the very authentic Thai style. We were all very hungry till we could actually eat a horse; hence we had no left over on the plates. Overall, the food was just ordinary; portions were small and kinda pricey. Guess it is normal in this tourism island. it was a great holiday. yep, it brings back all those nice memories. sigh… it’s quite sad also cz i am writing on my previous holiday rather than going for a vacation in this long holiday! It’s ok…i still have Siem Reap trip from last July which I have not blogged. I cannot even recall the names! wow ….so much good food there!! haha, nvm, slowly recall those name. i m waiting for ur siem reap trip post ya. yupe, tourist spots are liddat, i guess…but i’m sure you had a great time at the beach…photos coming up soon?? yeah, the dishes were very small serving. and then the food taste so-so only. jz to stuff our stomach but not satisfying our taste buds. I wanna go for a holiday at Langkawi!!! yes, the sky was really blue and bright at the time we were there. this was not a good sign cz it was really hot and warm and we sweated a lot! it’s so uncomfortable. 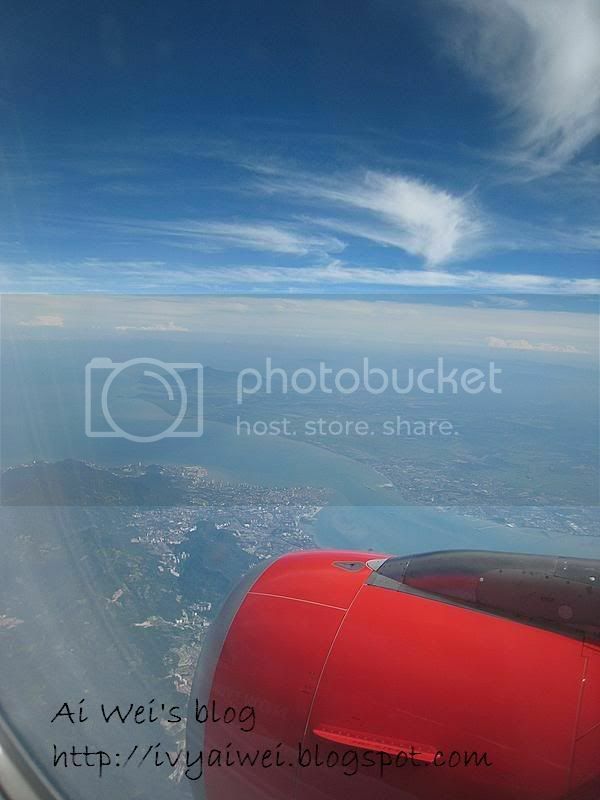 glad that you post langkawi pics now… i may plan for a short vacation…. pls post more! awwwwwwww langakwiiiii!! 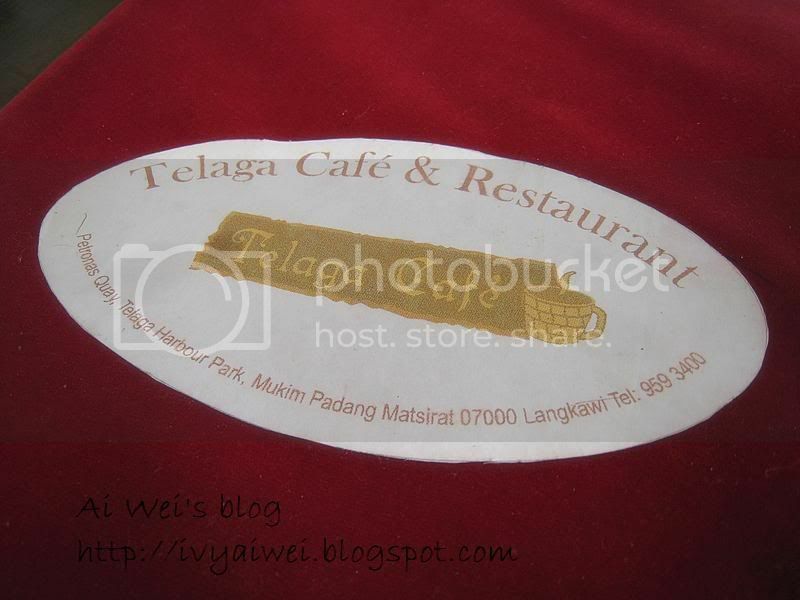 this restaurant always full of customer.. sadly we cant try it out with the limited budget! sure sure. i will try post up asap. by the way, when are you going to langkawi?! 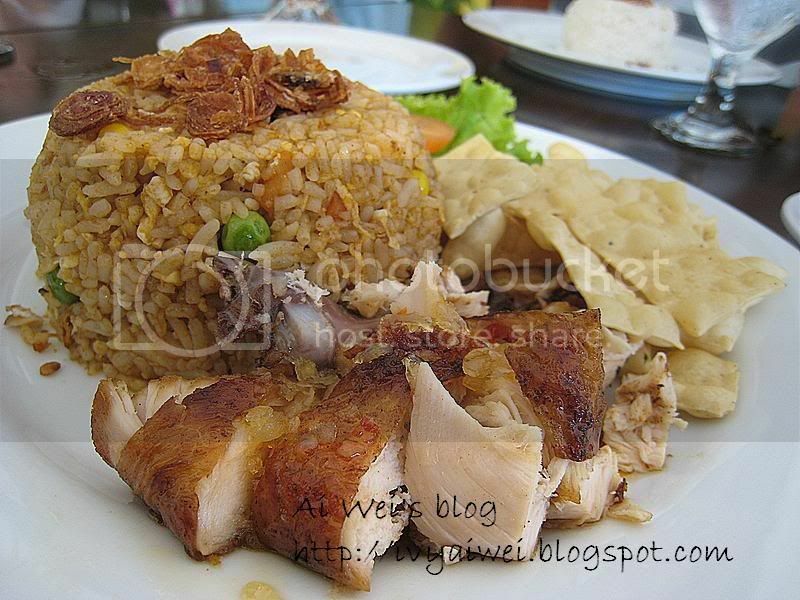 Very interesting post on Langkawi. I went there a few times but haven’t come across this restaurant. Perhaps I shall watch out on my next visit there. Btw, good photos. hi hi…. maybe early june…. that’s why right now, keep surfing for hotel, food review….